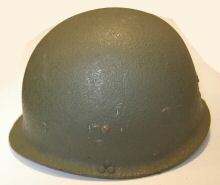 "PASGT clone - the helmet looks a exact copy of the US PASGT, but some minor details indicate possibly another origin, it lacks any stamp or marks." 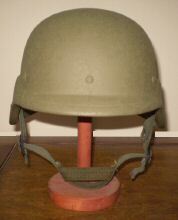 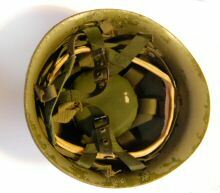 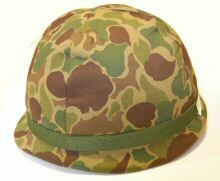 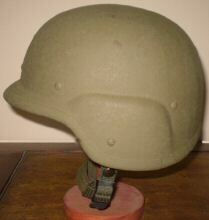 South Korean composite used as paratroop helmet. 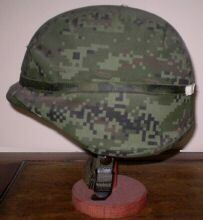 "A South Korean M1 compo clone, refurbished by Mexican army for para use. 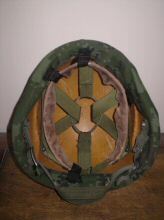 The cover is the 70s/80s Mexican duck hunter pattern."